`Roger Waters`is a Rock musician from England. 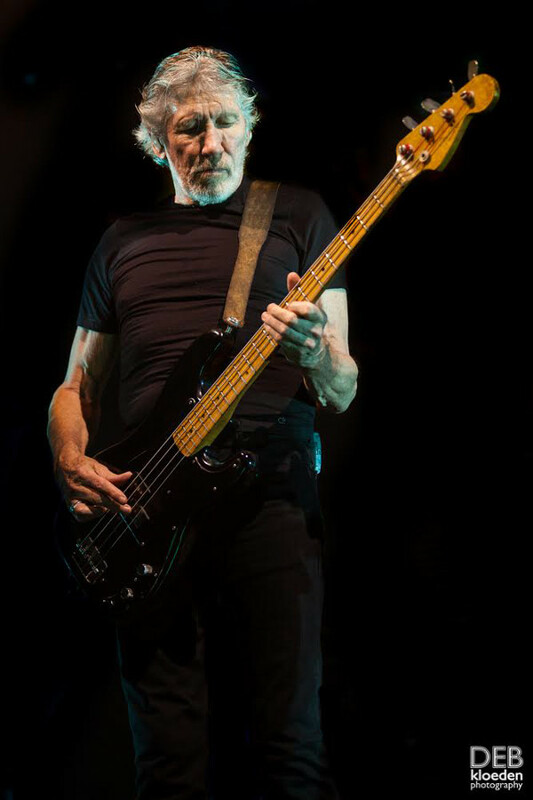 He is a singer-songwriter, lyricist, bassist and co founder of the Progressive Rock band `Pink Floyd`. He is photographed and captured here from the stage and pit area during a the “Us + Them” tour in Australia. For more information and to follow him on social media use any of the following external links. The show was divided into two sets. The first drew largely from Dark Side Of the Moon, Wish You Were Here, The Wall and Roger Waters latest album Is This The Life We Really Want? released in 2017. Behind the stage, a huge screen displayed ever-changing visuals that added another dimension to the experience of the show. During Time, clocks faces spun and whirred as if they had a life of their own. The audience was lured into euphoria during The Great Gig in the Sky as the accompanying female twin singers launched into the famous, operatic-like vocalisation. Sounds and effects of all types darted and echoed around the stadium; a voice from the left, a climatic chord from the right, all in perfect quadraphonic sound. Set 2 got down to the ‘guts’ of the show. 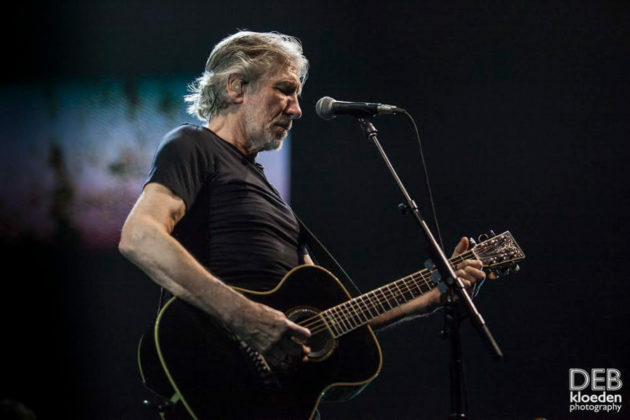 Roger Waters has always spoken out against injustice, the senselessness of war and promoted power to victims. During this set, a row of huge screens descended above the audience seated on the floor of the stadium, stretching from front to back, so people at the sides actually got the best view. Onto these screens, the famous buildings with factory chimney stacks featured on the Animals album cover, were projected and transformed before our eyes. The messages projected onto the screens were quite confronting and thought provoking, with lots of anti-Trump statements. Many of Trump’s ‘famous’ twitter quotes were projected in huge bold letters, accompanying the songs from the album Animals. The band donned animal masks at this point and of course there was the obligatory flying pig doing rounds of the stadium. Back to the Dark Side, the song Money aptly followed quotes from Trump, gloating about being rich. During Us and Them, the title of this Australasian tour, images of bombs exploding and children scavenging through garbage dumps were graphically displayed. I found the visuals very contrasting and confronting, compared to the melodic nature of the song, but it gave me new eyes through which to view it’s meaning. 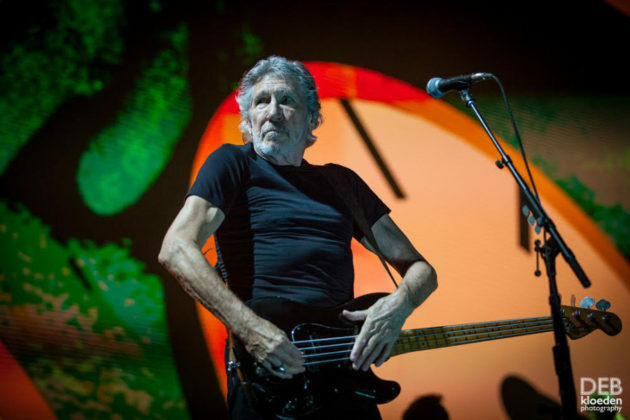 After you have enjoyed the live concert Photography and review of `Roger Waters` taken while performing in Australia from Deb Kloeden then make sure to visit her GALLERY .You will find more of her relevant work and links to her social media / websites and other published and non published portfolios. You can also view this photographer`s full A to Z of ALL the bands and artists they have photographed for Chasing The Light Art.The links below are where you will find more great Rock n Roll and Australia and New Zealand concert images and reviews from this photographer.